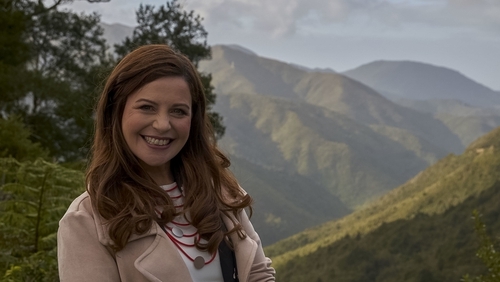 Catherine Fulvio returns to our screens with a trip through New Zealand and Australia. We've been welcoming chef Catherine Fulvio into our homes for years through her popular books and cooking series, and now the chef is traveling to far-flung places to see how people overcome distance and stay connected to their homes through cooking. Across six cities, including Australia, New Zealand, Sweden and Gran Canaria, Fulvio and her team gather stories from 12 families who refuse to let long distances keep them from their creature comforts. These guests invite Fulvio into their homes, sharing traditions and recipes alike. As well as this, Fulvio will explore national dishes, some we know like the flat white coffee claimed by the Kiwis, and some we don't, such as sweet potato Kumaras found in Maori cooking. "Highlights from this year’s show include the taste of reindeer, bear and moose in Stockholm, learning about "wrinkly potatoes" in Gran Canaria as well as eating in one of the highest regarded restaurants in the whole world in Melbourne," said Fulvio. On tonight's episode, we meet Liz from Cabinteely, whose son James lives in Wellington, and dreams of the flavours of Fish Molee curry. Get the recipe for Liz Valoor's Fish Molee here. Get the recipe for Catherine Fulvio's Mini Pavlovas with a Passion Fruit Curd here.